To build an eco-friendly home nowadays is more than a trend. Different establishments have really been investing in greener structures, going so far as acquiring LEED certification. Well, a commitment to a greener lifestyle is also full of advantages. One of the most common and easiest way to establish a greener home living is have plants within the four corners of the room. If your budget allows, one of the best ways too is to use natural materials. 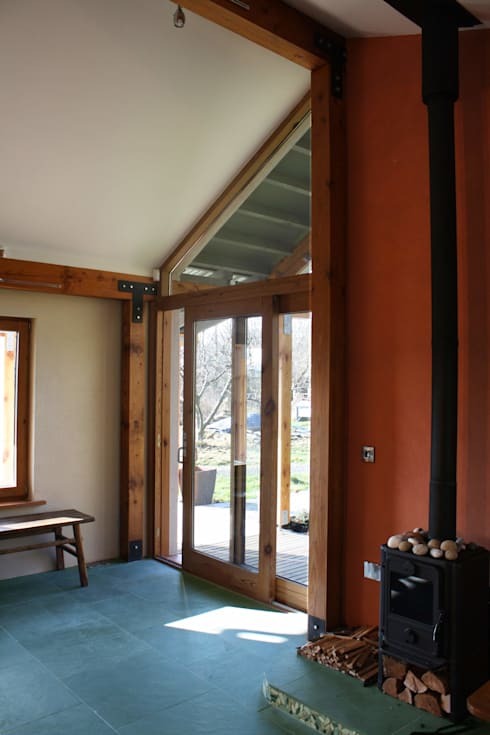 This hemp cottage is a case study made by a British architect firm, Rachel Bevan Architects. Concentrating on country house style, it also emphasizes the harmony of the house with the environment. If you're looking for a environment-friendly, modern home that is founded on sustainable development, continue to browse below! The cozy little house seen here is called the Hemp Cottage . 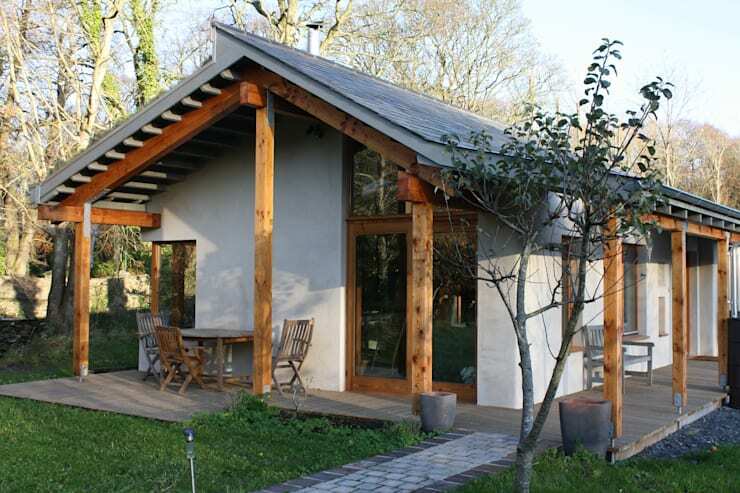 Built on alternative materials, it is one of the most innovative home structure you can copy. 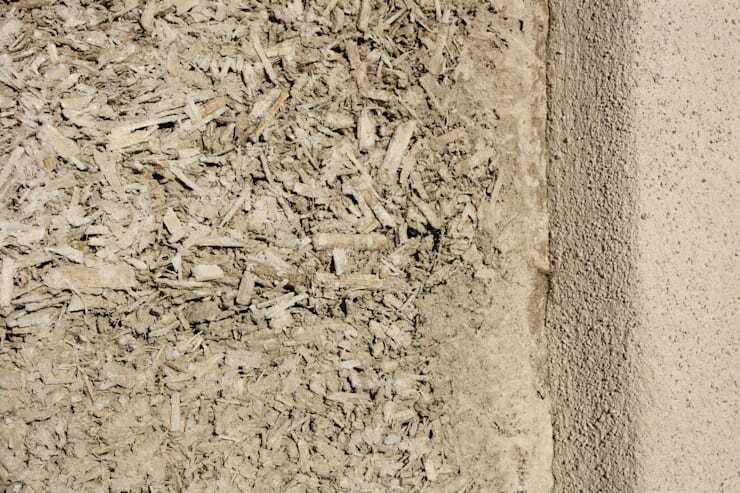 Here, hemp is mixed with cement to replace concrete as a building material. Combine the warm colors of white for the walls and brown with the wooden frames to stay timeless and classy. The thing with hemp is it's a lightweight material that becomes dust-free when mixed with cement. Having good moisture transfer properties, it can also make the house a lot cooler as walls become breathable . What makes it more essential is that homes made from hemp also have low carbon emissions in the air. 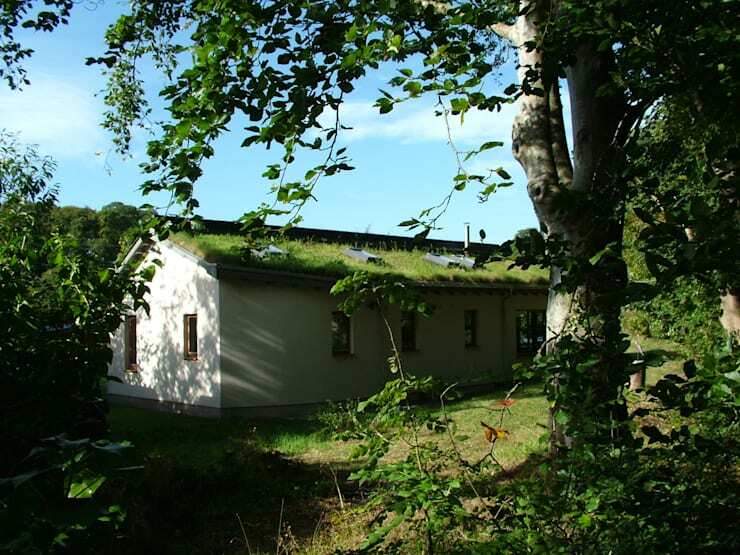 Who wouldn't love an environmentally friendly home? In addition to its usage, hemp is being used widely to produce furniture in different countries. With the continuous development in contemporary style, the popular material is being incorporated in interior decoration products as well. This house model's take on adopting an eco-friendly design is through building structure with emphasis on good ventilation for the home. And to keep the house cool and atmosphere fresh, invest in hemp materials and throw in some greens to create a healthier environment. This 70 sq.m. house is specifically designed for older residents too. It is a single storey house with one master bedroom and a rest area. Elevate the floor of the house to keep the residents from possible floods during the heavy rain season. The roof also broadcasts a gable pattern from the main building. Strengthen and be protective from the start by using mulch for the eaves. Then just for your preference, make the roof large enough to provide a shade from the facade for your morning coffee takes. From this picture, we can see that the house was raised to a certain level. This is advisable especially today because of the unpredictable weather conditions. 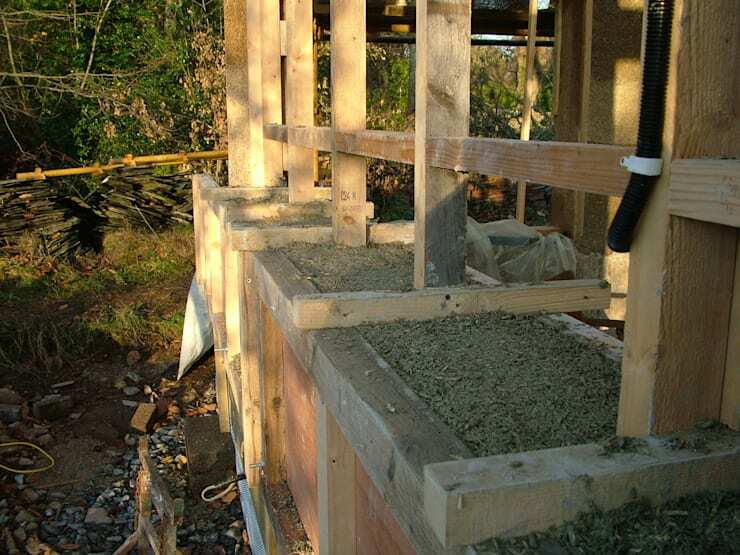 Look how the firm the foundation is using hemp with cement to complete the structure of the house, from pillars to walls. 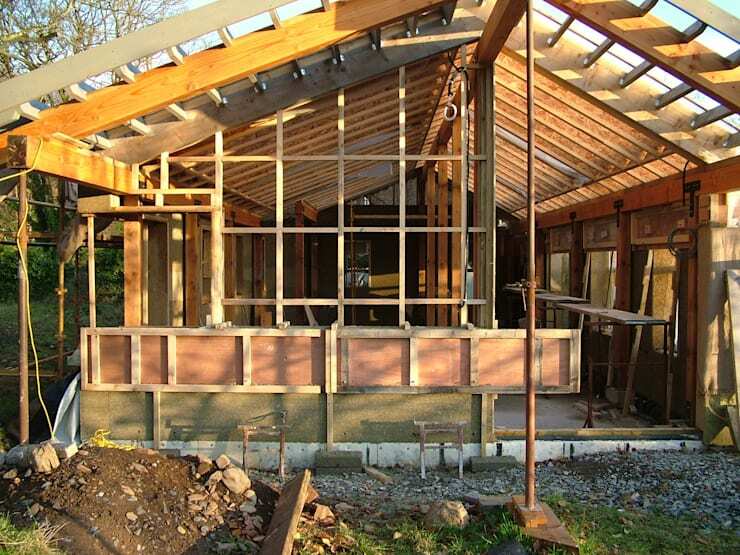 Using the sustainable material is also popularly utilized in prefabricated homes. Walls made of hemp are conveniently light, yet sturdy and shock-resistant. Good to note though, that this building material is best suitable for most houses other than the multi-storey buildings. 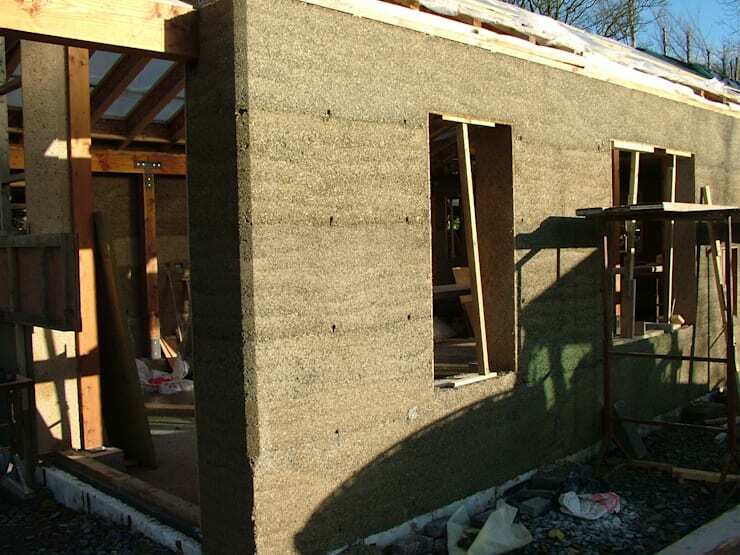 Another compelling reason to use hemp is that they provide excellent thermal insulation. It can help maintain the right temperature; keep the building warm in winter and cool in summer. It is also quite waterproof, so even areas that are frequently flooded, it will be one less problem! After completion of the construction, painted the almost done Hemp Cottage, with white tones to make the wooden frames stand out. This home perfectly showcases a rustic and minimalist style, which is popular in the modern times. 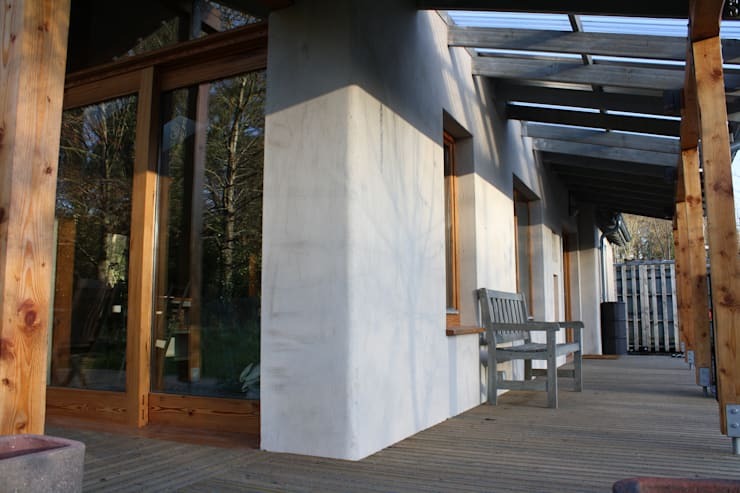 Take up your wooden house to thej next level by incorporating the wonderful advantages of hemp for the foundation; never to worry with the looks of it because one can see the fine texture of the finished walls as seen on the picture. Maintain the minimalist design even on the facade by installing large windows traced by distinctive wooden frames, putting up solid colored benches and just keeping it pretty spacious and wide. Now, for the last step: sit up and relax quite a bit! From this angle, we can see the neatness and beauty of the freshly painted walls of the home which look nothing like its composition of different mixture of materials. Whether you choose to paint it with white or orange shade, the brick looks smooth in every corner. This is to prove that you can go with style and strength! The top of the roof is the most forgotten part of house when talking about design. Various decorations can be put on the roof of the house. 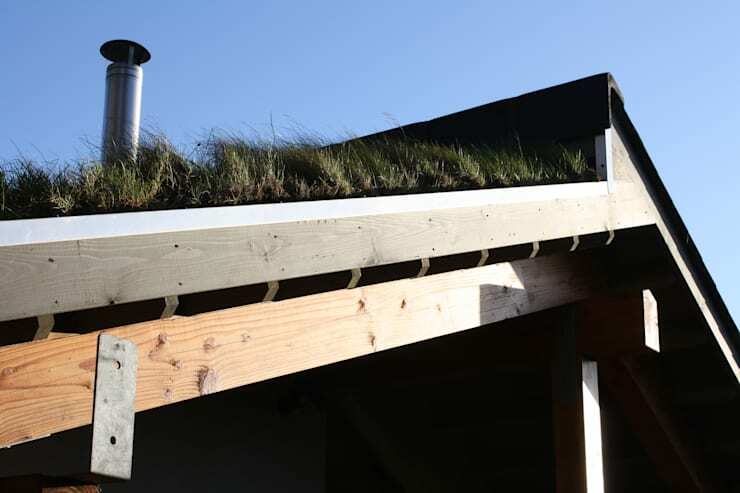 In this home, the grass is planted on the north side of the roof to enhance the shady and natural atmosphere. This design perfectly blends with the greenery of the surrounding countryside. Feel completely relaxed whenever you are home by planting tall trees which can give you a shade and therapeutic aura to relieve all the stress! Now this is what it looks like to be at home with nature! Being surrounded by a vast greenery leads to a healthier environment and living. Besides from the good benefits, this home style is inspired from European style houses that one can surely be proud of. Nothing matches the greens better than the light and bright color of white.Thus, a home and surroundings that please the eyes would most likely put one into a good mood. Get hands on and improve your home living!